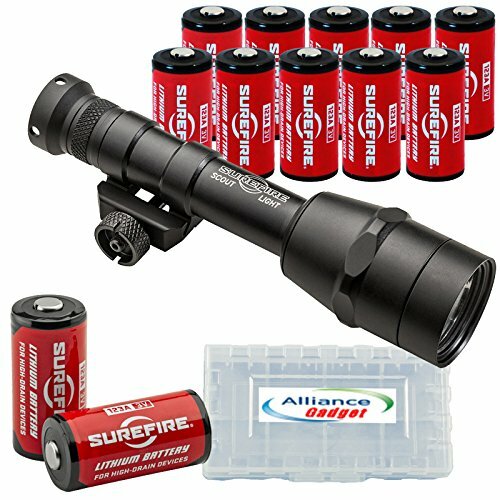 The revolutionary SureFire M600IB utilizes SureFire's proprietary IntelliBeam Technology-an intelligent sensor and microprocessor-based system that continuously evaluates the environment where the beam is aimed-to automatically adjust the light output to the optimal level, between 100 and 600 lumens, faster than the human eye can detect. So you always get just the right amount of light for the task at hand, based on your surroundings! Its high-performance LED and parabolic reflector create a smooth, highly useful beam with far-reaching center and significant surround light for maintaining situational awareness no matter to which output level the M600IB's beam is automatically set. Simply press the tailcap click switch for momentary light activation or click the switch for constant-on mode-optional remote switching is also available. Like all Scout Light models, the M600IB is constructed of Mil-Spec hard anodized aluminum and O-ring and gasket sealed, so it can take most anything you can dish out. At less than six inches long and just over six ounce in weight, it won't eat up a lot of rail space or weigh down your weapon, either. It attaches quickly and securely via its thumbscrew mount to any MIL-STD 1913 rail. For cutting-edge technology that delivers just the right amount of light, and Scout Light reliability that won't let you down, there's no beating the M600IB!